Twelve-year-old Milo is ready to spend a cozy holiday season snuggled up with his mother and father. Much to his dismay, his family inn begins receiving an unexpected number of guests,each more secretive than the next. Why are they all arriving at the Greenglass House? And what secrets are they hiding? Even the impending blizzard doesn’t slow the rush of incredible characters to the inn’s doorstep. 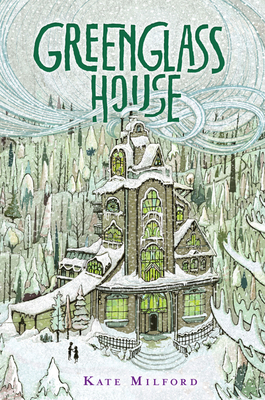 With the help of his newfound friend Meddy, Milo concocts a plan to unravel the visitors’ shadowy pasts and their connection to the Greenglass House.